Kitsuné means fox in Japanese. 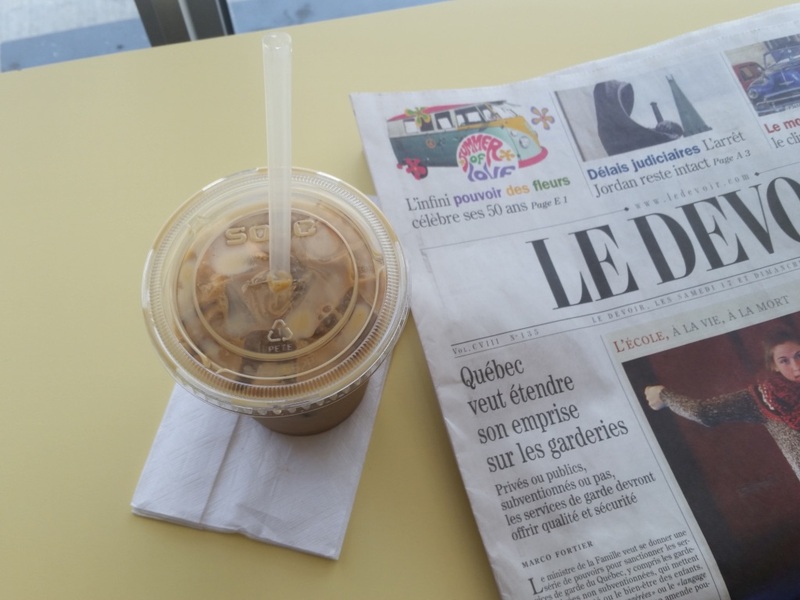 I wrote about the first location (here) on Prince Arthur, which is now called Cafe Nocturne. 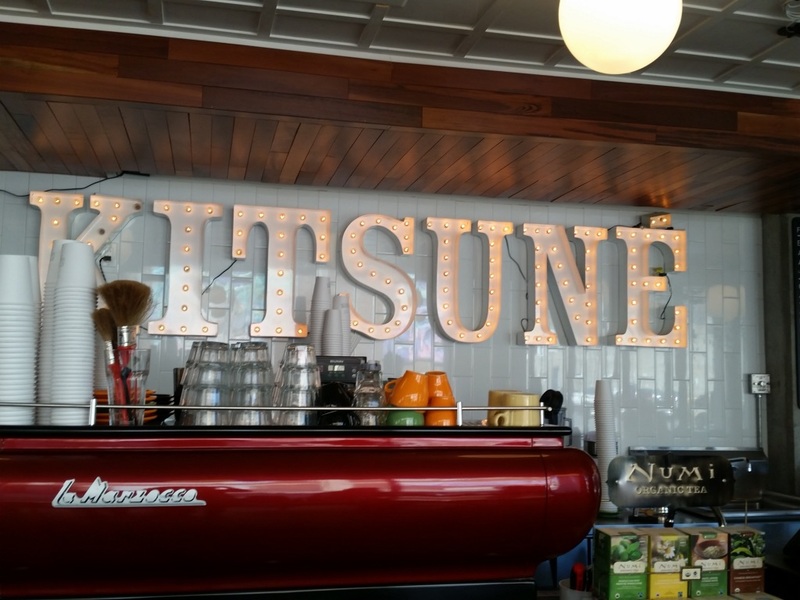 Kitsuné opened its second location in early 2016 in Montreal's newest trendy area - Griffintown. 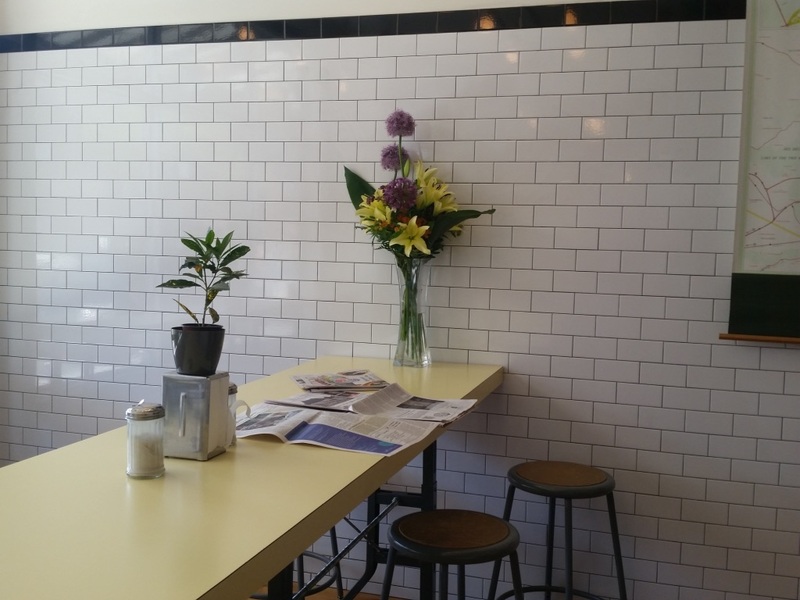 This cozy spot offers all kinds of coffee and other drinks as well as pastries, sweets, soups and sandwiches. 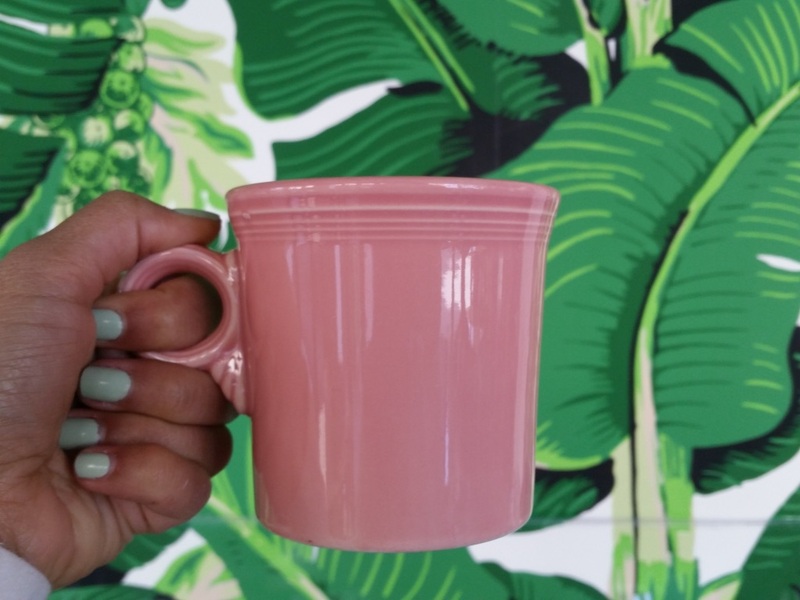 I just love the palm leaf wall which is perfect for instagram! 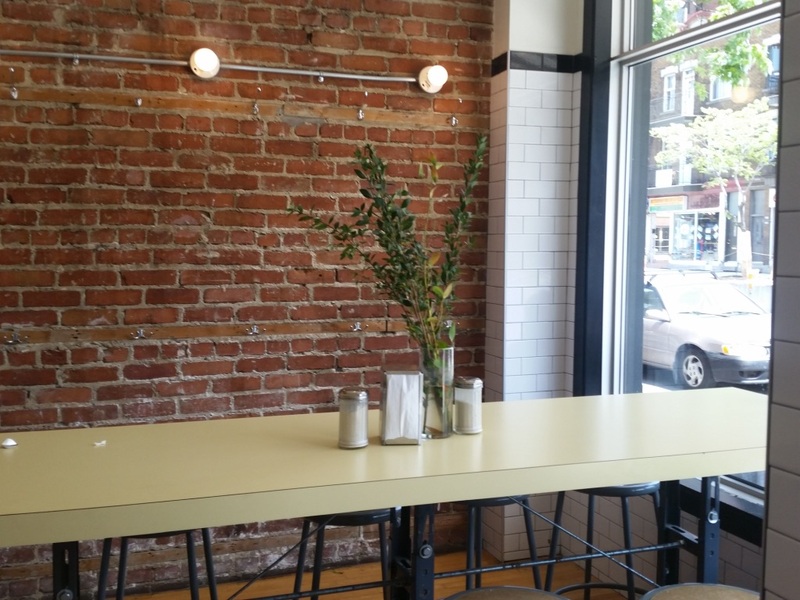 Update: This is now called Chez Anne. 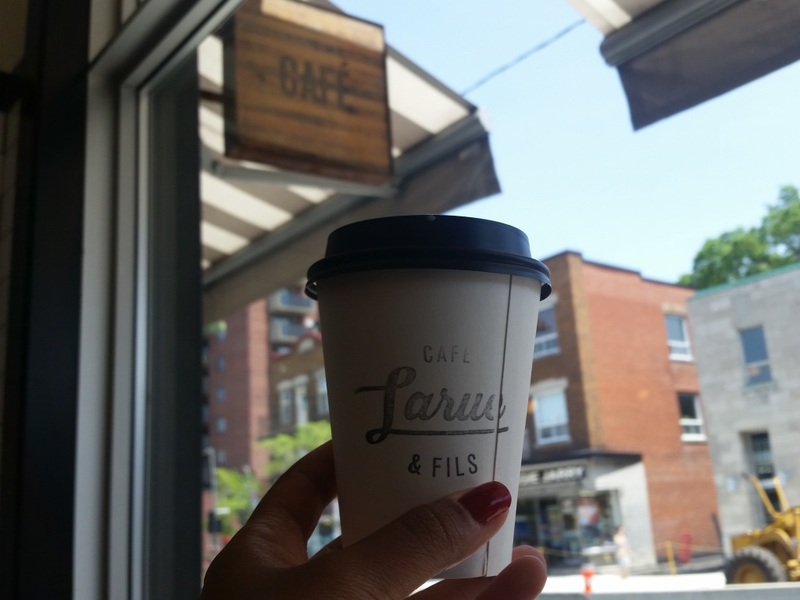 The coffee crawl continues with Cafe LaRue et Fils! I stopped by after work with my coffee buddy C, and got a latté to sip on while we caught up on stuff and browsed through old vacation photos! We loved having the entire café to ourselves since they were getting ready to close not too long after! 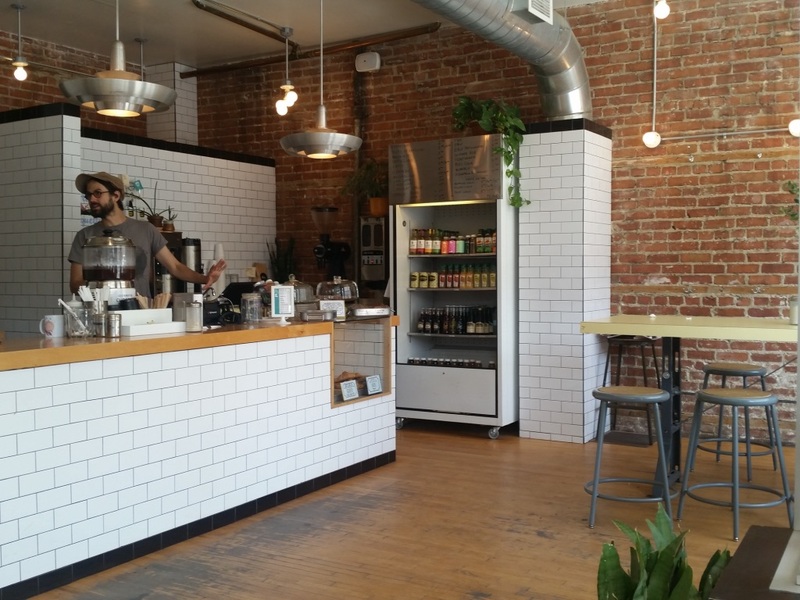 This café was on the indie coffee passport last year as well, and I was excited to go back again this year for another visit! 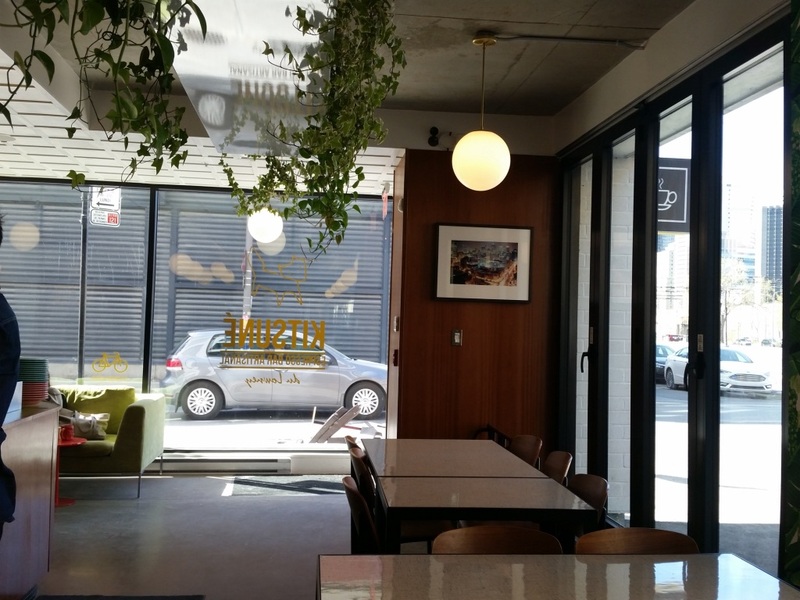 Great neighbourhood spot for an excellent cup of Joe! 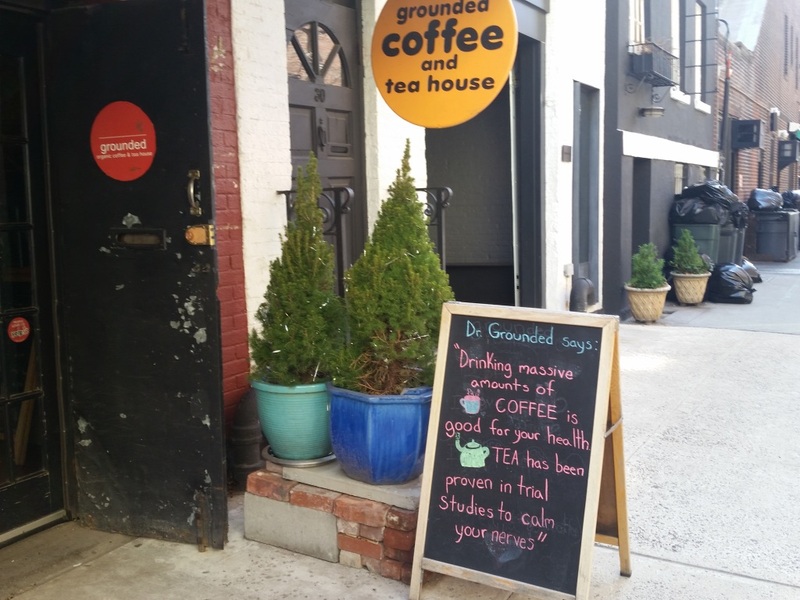 Grounded is a cute little NYC coffee and tea house. 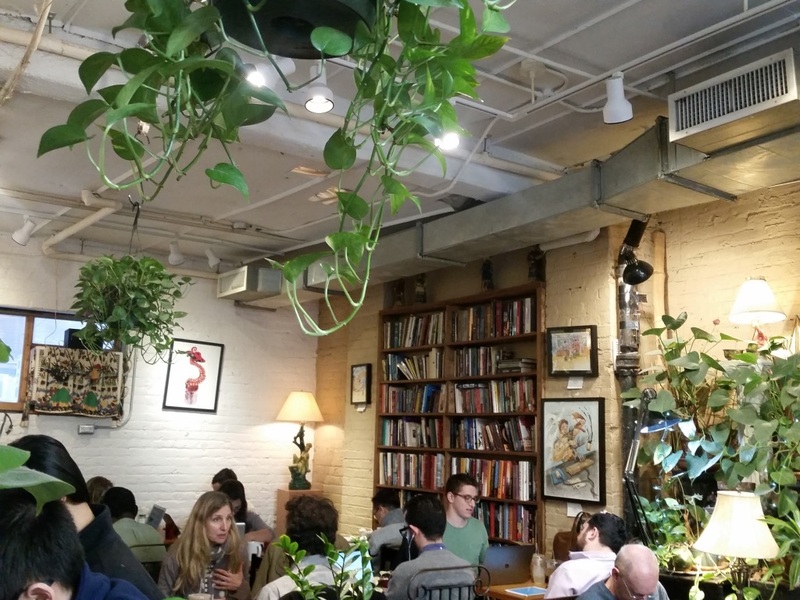 We stumbled upon this spot in the West Village after a stroll along The High Line and stopped in for a refreshing iced tea. I was surprised at how packed this spot was, but was happy to see signs that asked guests to limit their stay to 2 hours so others could enjoy the café as well. We didn't get a seat unfortunately but we ended up enjoying our drinks at a standing cocktail table right by the entrance. 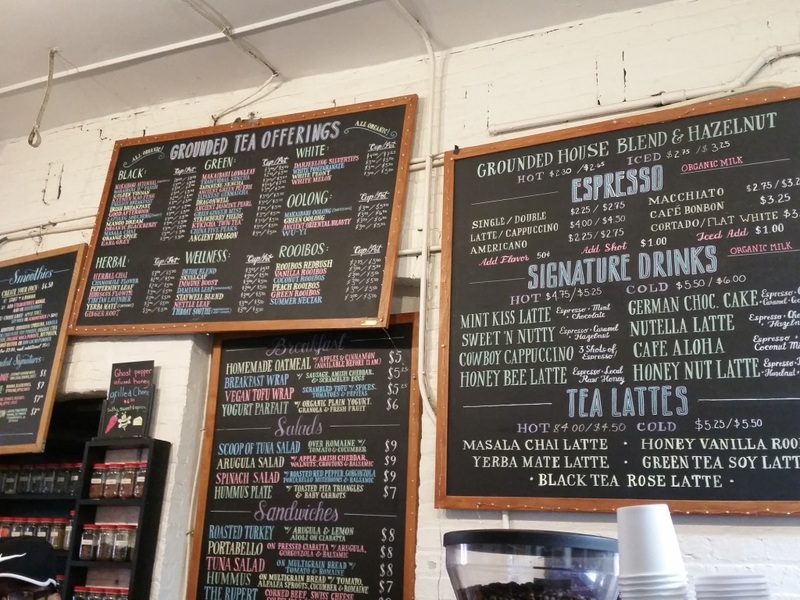 Their extensive menu ranges from loose leaf teas to coffee and extends to sandwiches, salads, pastries and even smoothies and all of the options were written on a chalk board behind the counter. It took me a while to decide on a drink but finally I ended up ordering a summer nectar iced tea, which was made of organic green rooibos, orange peel, marigold flowers, dried strawberries, and natural peach, strawberry and orange extract. We didn't have time to stay for too long but I loved the vibe despite the fact that it was packed. If I lived close by I'd stop by this spot all the time and try something new every time! 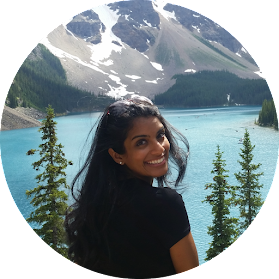 If you find yourself in the area, definitely stop by and try something new!